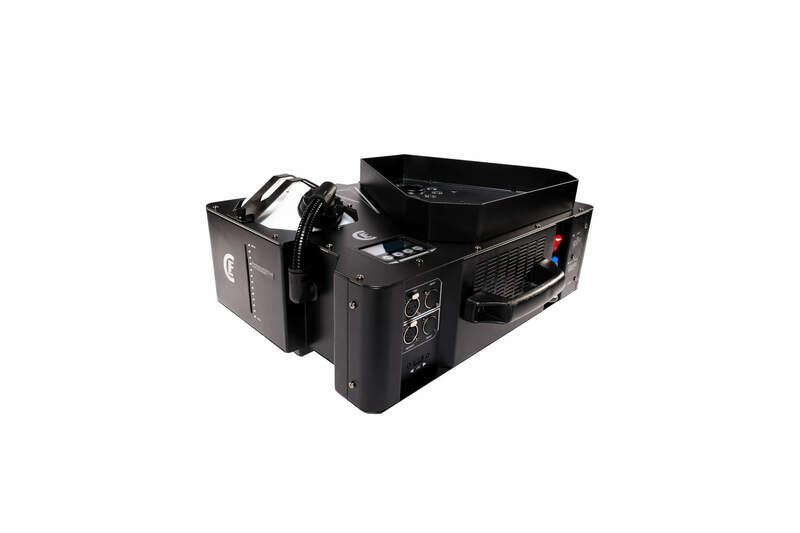 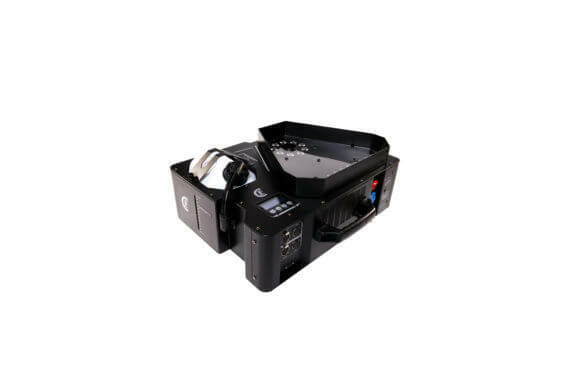 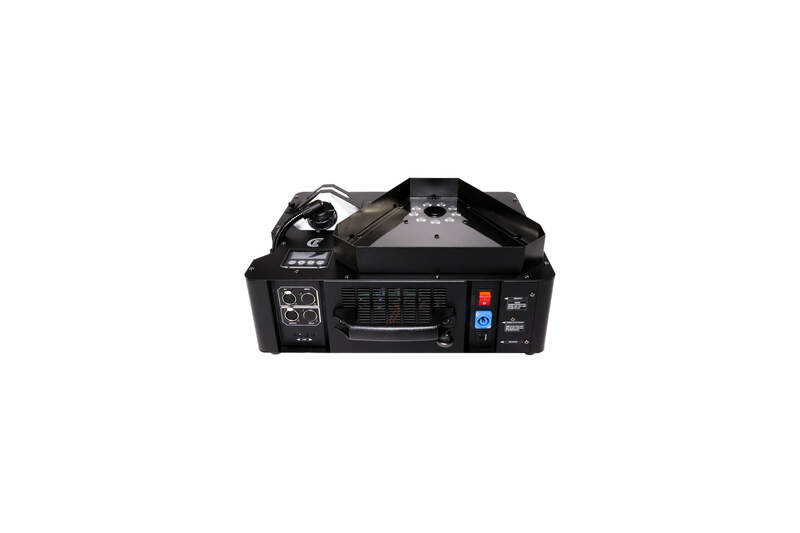 The EF Smoke 3100 is a vertical fog machine, equipped with powerful RGB LEDs which are divided in two segments. Special stop and go technology ensures accurate heavy smoke effects. It can be controlled by DMX, stand alone or wireless by using the included remote. 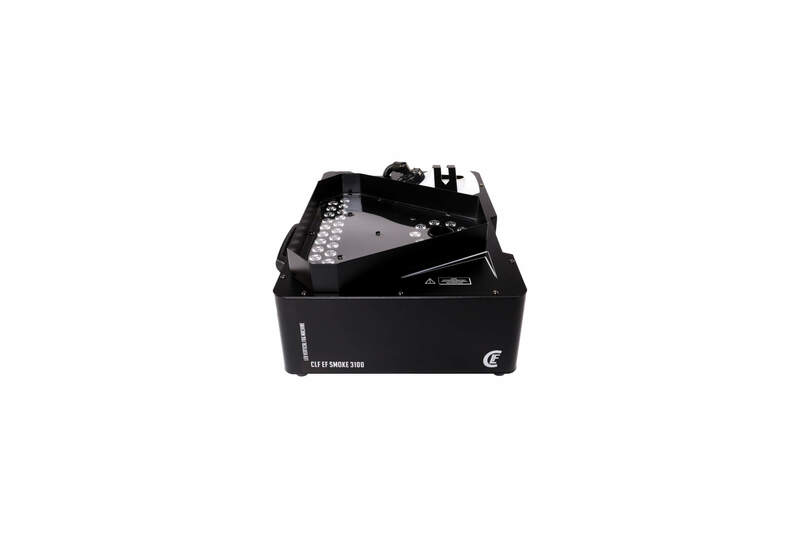 Attachment points in the base of the machine provides horizontal and vertical mounting options.